China has a problem with traffic. That much is certain, and the issue isn’t going away anytime soon. But BMW wants to help even as China is rapidly developing personal transport options that, in time, could help alleviate traffic jams. The German automaker, is researching various mobility innovations that can be adapted to what’s become its biggest market in the world. According to Automotive News Europe, BMW also wants to make those mobility solutions premium because, after all, BMW is a luxury brand. “Growth in the future won’t come from building and selling cars but from other services,” said Thiemo Schalk, manager of BMW’s Center of Urban Mobility Competence. While its nothing on the scale of China’s, Europe's congestion problems can be used as a starting point. 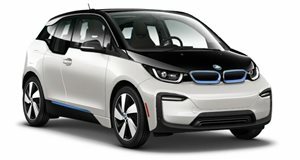 One example is BMW’s ReachNow car-sharing service, which has just been unleashed in the Chinese city of Chengdu with a total of 100 i3 EVs. While that’s now up and running, BMW has some pretty interesting other ideas in developing. One idea is the Vision E3 Way, essentially an electric bike that could appeal to the huge numbers of Chinese electric bike riders. Because it’s covered and elevated, the Vision E3 Way is much safer than what’s currently being used. Premium carpooling is also an option, so BMW is making an app that can “mine customers’ phones for GPS data to establish their daily travel patterns, encrypting data and sending it out to try and match it with others.” And, of course, there’s the idea to develop autonomous robotaxis. Thing is, many Chinese look down upon basic transport like this, so BMW is cooking up concept vehicles that resemble an airplane’s business class cabin. Heck, flight attendant robots are also in the works, there to serve commuters a hot cup of coffee on command.